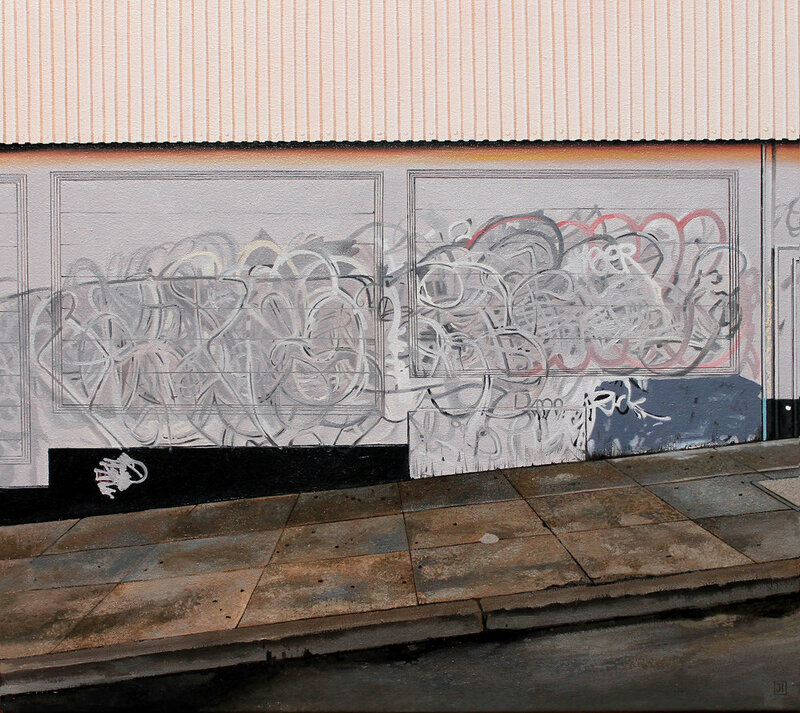 SAN FRANCISCO - Hashimoto Contemporary is pleased to present “Less Is More”, a solo exhibition by Jessica Hess. 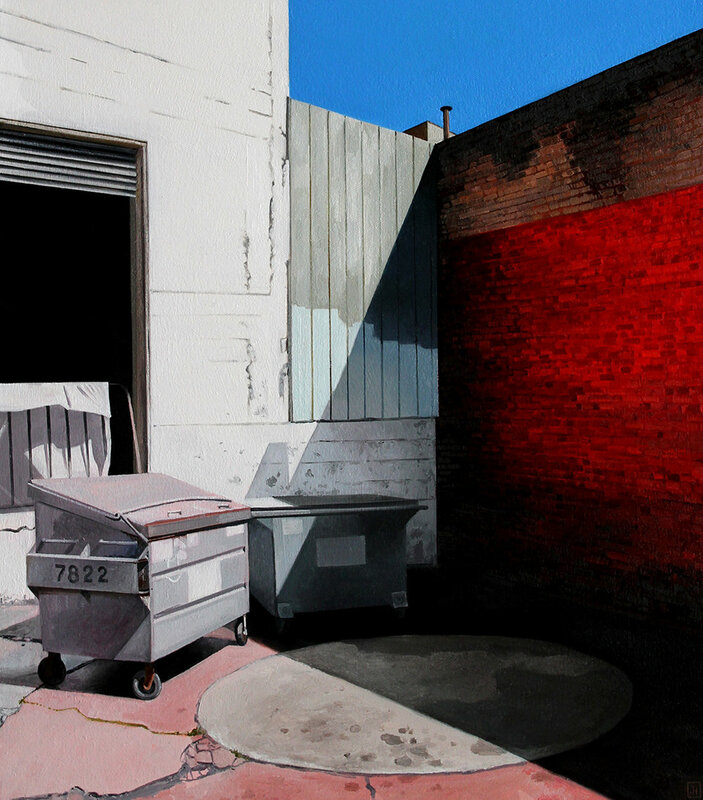 The show introduces a new series of hyperreal oil paintings surveying architectural ephemerality. “Less Is More” expands Hess’ ongoing survey of derelict spaces void of human presence. The vivid paintings transport the viewer to locations around the country, such as the Heidelberg project in Detroit or the rural backroads of New England. Hess’ new work develops the narrative set forth by her previous exhibition “More Is More” by detailing the continuous change in these vacated structures. Graffiti saturated buildings have been buffed over, abandoned homes are boarded up and repainted. These subdued moments provoke contemplation of the cyclical nature of our built environments. The exhibition also highlights key developments in Hess’ creative practice. She continues to skillfully manipulate the reality of her subjects through interventions of painterly abstraction. 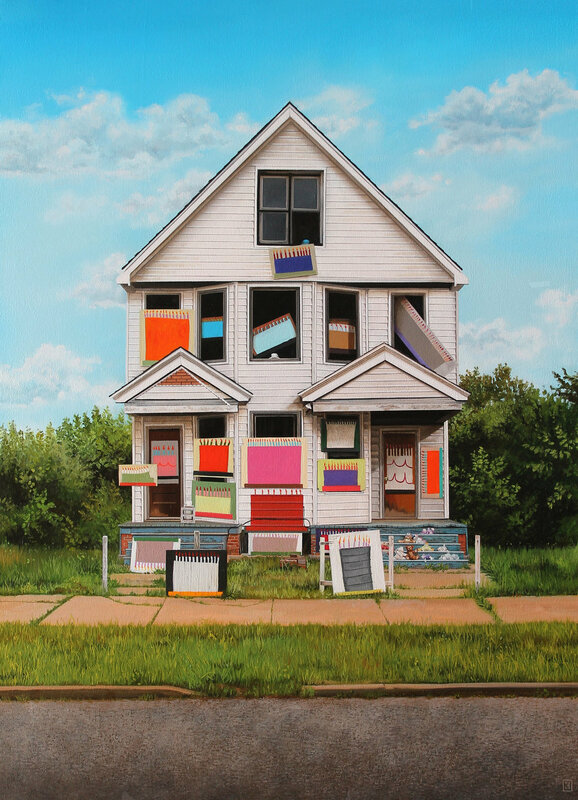 One piece, entitled “North Adams”, portrays an abandoned home, its vibrant color starkly contrasts the surrounding bleak forest. Hess renders the painting to resemble a physical photo collage, offering a glimpse at the intermediary process between her source and its final painted form. Please join us for “Less Is More”, opening Thursday, August 31 with an evening reception from 6pm - 9pm, where the artist will be in attendance. This exhibition will be on view through Saturday, September 23. For more information, additional images, or exclusive content, please email us at info@hashimotocontemporary.com.